Check out all the Bollywood action including latest Bollywood news, Bollywood celebrity gossip, latest trailers, trending videos and more. Bollywood Latest Updates: What's better than to get all the trending news about the Bollywood celebrities, movies, latest releases and songs at one place. We have gathered all that's happening in the world of Bollywood and entertainment on June 17. Keep checking for the latest! Actor and Bigg Boss Tamil host Kamal Haasan took to social media to share an adorable post on Father's Day. "You girls changed my life . As much as my mother did. Hence Father's day is also a Mother’s Day! @shrutzhaasan @aksharaa.haasan", he said while sharing a throwback picture. Daniel Weber shared a new picture of himself with his wife Sunny Leone and daughter Nisha on Father's Day and social media trolls just couldn't stop themselves. Daniel, who is also Sunny's manager, shared the post of the trio in a relaxed moment with his Instagram. They received several compliments and some negative comments, which are too vile to be reproduced here. A section of the Internet though it was an inappropriate picture and schooled Sunny Leone for it. On the special occasion of Father’s Day, Bollywood actress Soha Ali Khan shared an adorable picture of daughter Inaaya Naumi Kemmu and husband and Kunal Kemmu. Just like her brother Taimur Ali Khan, Inaaya Naumi Kemmu is already an internet sensation. The lovely baby girl was born to celebrity parents Soha Ali Khan and Kunal Kemmu on September 29, 2017. Taking to her Instagram account, Soha shared an adorable picture of Inaaya with her dad Kunal and captioned it, "Like father like daughter happy Father’s Day!! #happyfathersday@khemster2". The duo is seen twinning in comfy white linen wear and are seen posing for the camera. Fathers are superheroes, mentor, guide, philosopher and friend- all rolled into one. We know that a day is not enough to honour one of the greatest persons of our lives, however, we have a special day dedicated to all daddies out there. Father's Day is celebrated on the third week of June. This year it is on June 17. While the entire world is expressing their gratitude to their fathers, Bollywood celebrities too took to social media to share emotional notes. From Shah Rukh Khan, Akshay Kumar and Madhuri Dixit to Vicky Kaushal and Kriti Sanon, here's what the celebrities posted on Instagram. Superstar Salman Khan’s Race 3 has released, and it is receiving a wonderful response at the box office. The film earned Rs 29.17 cr on its first day and became the highest opener of 2018. Eid weekend gave massive boost to the collection. 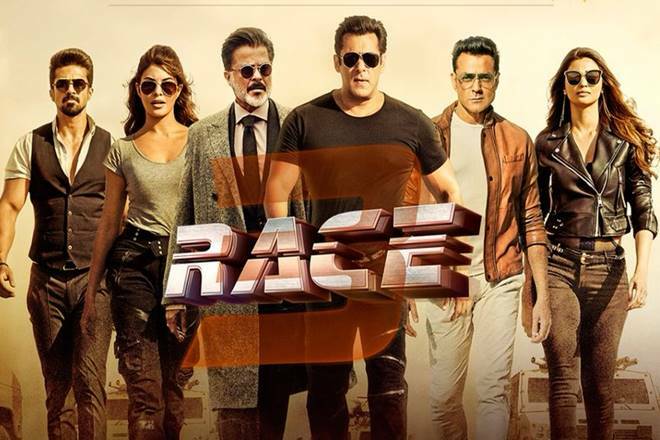 Yes, Race 3 raked in Rs 38.14 cr on its second day and the film has earned Rs 67.31 cr till now. 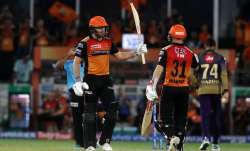 Trade analyst Taran Adarsh shared the numbers on social media.